Born to a musical family in Budapest, Tommy Vig was internationally recognized as a child prodigy by the age of 6, playing drums with his father, clarinetist Gyorgy Vig. He performed live concerts in Budapest on State Radio, at the City Theatre, the Academy of Music, and the National Circus. At the age of 8, he made an album (called "The World Champion Kid Drummer") with the best Austrian jazz players in Vienna, including Hans Koller, Ernst Landl and the Hot Club of Vienna (on Elite Special Label). At the age of 9, his drumming won him the 1947 MGM-Jazz Competition in Budapest. As a result, he made several recordings with the legendary Chappy's Mopex Big Band (on His Master's Voice Label). Vig completed his studies at the Béla Bartók Conservatory in 1955 and the Ferenc Erkel Music High School in 1956. Following the crushing of the Hungarian Revolution of 1956, he fled to Vienna where he played concerts with Fatty George and Joe Zawinul. After moving to the United States, he was given a scholarship at Juilliard School of Music. Since then he has been writing and conducting his own concerts. Vig worked with Red Rodney, Don Ellis, Cat Anderson, Terry Gibbs, Art Pepper, Milcho Leviev, Joe Pass, and the Miles Davis-Gil Evans Big Band amongst many others. In 1961 he settled in Las Vegas, where he performed with Frank Sinatra, Sammy Davis Jr., Tony Curtis, Woody Allen, Judy Garland, and Tony Bennett. 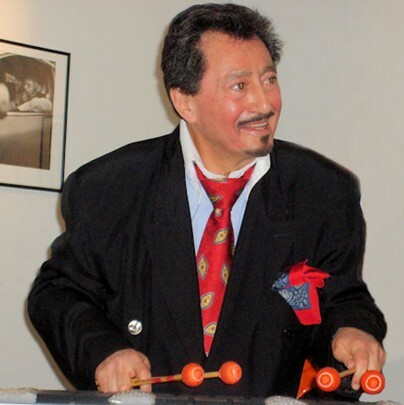 He was the percussionist on many of Rod Stewart's albums. In 1970, Vig moved to Los Angeles where he worked in Warner Brothers, Fox, Universal, CBS, Columbia, ABC, Disney, Goldwyn, MGM, and Paramount Studios. He participated in about 1500 studio sessions in Hollywood, including two Academy Awards, and produced, directed and conducted the official 1984 Olympic Jazz Festival for the Los Angeles Olympic Organizing Committee (LAOOC). He also organized and conducted the annual Las Vegas Caesars Palace Mini-Jazz Festivals for many years. He wrote the music for 30 films and television shows, including They Call Me Bruce? and The Kid with the Broken Halo. As a percussionist, Vig participated in the recording of Quincy Jones' soundtrack to Roots (TV miniseries). He played on the Jazz Festival Münster 1986 (album Mistral) with Lajos Dudas, and participated with the hr-Jazzensemble and Martin Breinschmid. Vig gave master courses at California State University, Northridge, and at the Tatabánya Jazz Academy. Over the past fifty years his classical pieces were performed by symphony orchestras in the United States, Germany, and Hungary. He was the Vice President of the American Society of Music Arrangers and Composers (ASMAC). Vig was awarded the EmErTon Prize by the Hungarian State Radio in Budapest in 1994. The Hungarian Jazz Federation awarded him first prize in Musical Arrangement in 2006, while the Budapest Jazz Orchestra commissioned and performed his piece: "Budapest 1956" in front of U.S. Ambassador April H. Foley at the Museum of Fine Arts. Since 2006, Vig lives with his wife Mia (of the famous Kim Sisters) in Hungary where they have been performing live concerts, appearing on radio and television, and recorded several albums, including ÜssDob ("Beat It!" on Tom-Tom Records), "Now and Then" (on Pannon Jazz), and most recently Welcome to Hungary! The Tommy Vig Orchestra 2012 Featuring David Murray (on Klasszikus Jazz label). They have one son, Roger, who appeared on television in Los Angeles playing the drums with Vig’s big band at the age of 3. Vig invented the scientific method of Non-Subjective Valuing™ (U.S. Patent 6038554) which is fully detailed in his book How To Tell What Things Are Really Worth.